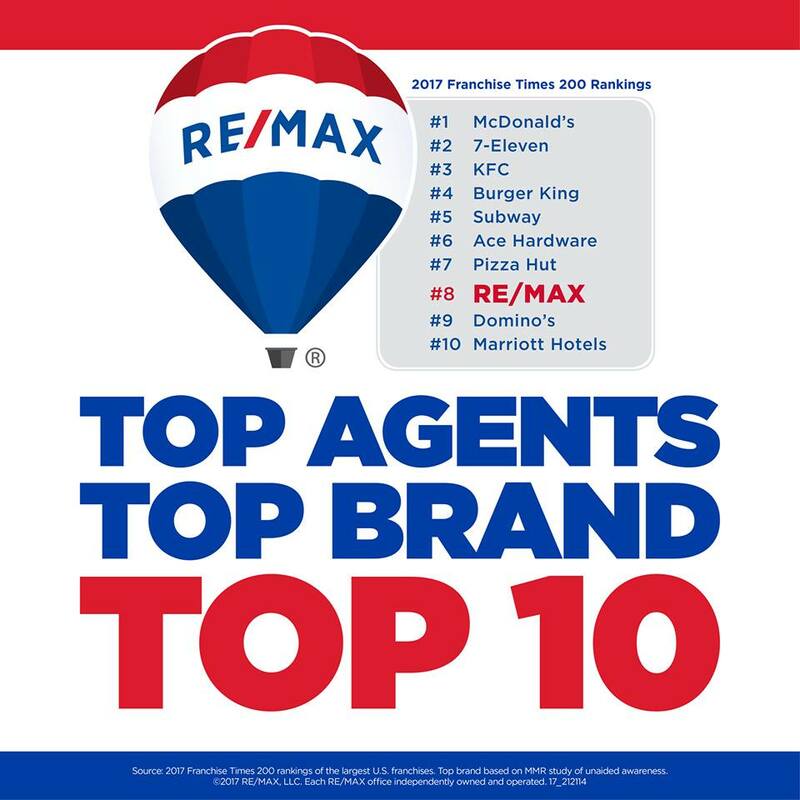 RE/MAX, LLC, the #1 name in real estate*, was once again ranked a top 10 franchise in the annual Franchise Times Top 200+® survey. The Denver-based global franchisor of real estate brokerages also was named the leading real estate franchise for the ninth consecutive year. • The top 10 companies grew by $7.8 billion in combined global sales during 2016. The average sales growth of the same 10 companies was 2.8 percent with RE/MAX growing by 11.8 percent.